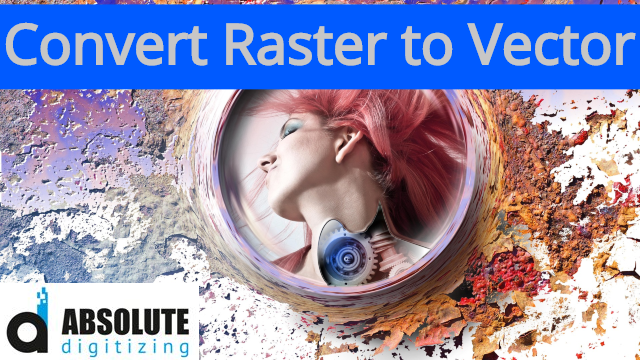 To convert raster to vector requires identifying and extracting vector features from an image. It is a common scenario in digitizing for the printing and the apparel industry. When an image needs to be used in unusual sizes i.e. very small such as on pens, watches and other promotional items. Or, to use on huge billboards with larger than life sizes, raster images cannot be used. Re-scaling the raster images beyond a certain limit causes them to pixelate. Pictures captured by a camera or scanned images are raster images by default. Low quality images prove to be the toughest as they require greater efforts. Today, advertising is the key to business growth and even the smallest brand strives to leave no channel untouched to spread awareness about their campaign to the masses. The battle to occupy all available space around the city has increased the demand to convert raster images to vector art. The process of conversion is easy, but the best results can only be delivered by a skilled digitizing agency. A skilled designer can identify the intricacies in a design. The process is not entirely automated, a human is required to work upon the raster image and convert it into a vector image. If you are confused about what is the difference between a raster image and a vector image, you can read our blog Convert Logo to Vector for better understanding. What Is the Process to Convert Raster to Vector? In its true sense, you never convert a raster image to become a vector image. In fact, you redraw the entire image as a vector using a software such as Corel Draw, Adobe Illustrator or any other within the category. There are different ways to do it and every graphic designer has his own working style. However, to speed up the process, the auto trace tool is used but it does not guarantee best results. In order to bring out finesse, the entire process is done manually by an expert designer who knows how to handle the tricky spots. Vectorization process is the same for every image, the only difference is that complex images require more time. Select an image of your choice. For businesses it is probably the logo, for people who want to do it for fun, choose a small image to save time. Large images will take a longer time to edit because of more area to trace. When you are learning how to convert raster to vector, choose an image with a single subject. If possible, use something with a white background or having low resolution. When working on a dark background or having unnecessary clutter, you might need to crop the subject first to enhance quality. Cropping needs to be done with care ensuring the subject is not damaged. One of the most widely used software is Adobe Illustrator for a variety of reasons. Most graphic designers began digitizing on it because 1) they heard about it, or 2) they were introduced to it. What started as a hobby soon turned into a career for most of the professional designers out there. In Adobe Illustrator, the “Image Trace” tool works perfectly as it collects color information and creates a traced duplicate. The traced duplicate is a replica of the original image and can be easily used to create a vector. Open your image in the software and select it to activate the editing options. Click on the menu beside image trace and choose any one from High Fidelity Photo or Low Fidelity Photo. The image will undergo the tracing process automatically and you can observe several changes to your image. Overall, it remains pretty much the same. A lot of details will be stripped from the original photo, it will also appear much sharper but can miss some important stuff. Now zoom in and out as much as you like, you will notice the image does not pixelate. According to the original raster image, the colors will be automatically adjusted which might look odd at some places. In order to tone down everything to perfection, separate the color groups and edit them. Now select your image, and then click on the expand button. You can now view the composite shapes that form your image and it should have a blue outline. Right click on it and then select ungroup from the popup menu. Now you can easily separate color shapes and work on them as individual parts. After you convert a raster image to a vector image, you can now edit it in any way you like. Start by deleting all unwanted colors or color groups. Click on a shape and head towards, Select –> Same –> Fill Color. It will enable you to select all groups having the same color where you have clicked. If you would like to modify or expand any color group, do it be selecting a layer with the Direct Selection Tool. By using a pen or brush tool, fill in the empty or white spaces to make your work look professional. Now that you have finished altering the image, you need to save it. Saving in the right format is a crucial part and you will have to choose a vector file format from PDF, AI, EPS, SVG, etc. Now head over to File –> Export –> Export As, and then from the drop down menu in “save as type” choose the SVG type to save in vector file format. Congratulations you have saved your first vector file in your computer. Working on simple images can be easy as compared to images with backgrounds and more characters. If image to vector conversion is not your everyday task, then learning it can be daunting. To get the best results, one needs to invest a huge amount of time and efforts. 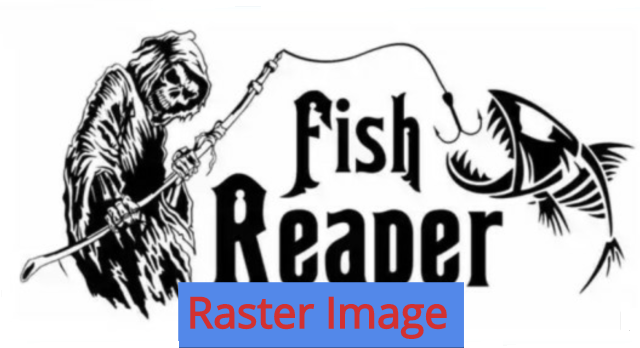 For people who need to convert raster image to vector image once, it would be best to get it done from one of our expert designers at Absolute Digitizing for just $10. You will get the best results within a couple of hours. If you are in a hurry, do let us know so we can prioritize your task accordingly.